One of the most unique catch was raised on board a fishing vessel in the Antarctic Ross Sea.The crew pulled out of the water creature with tentacles as water cannons, and eye-plates. 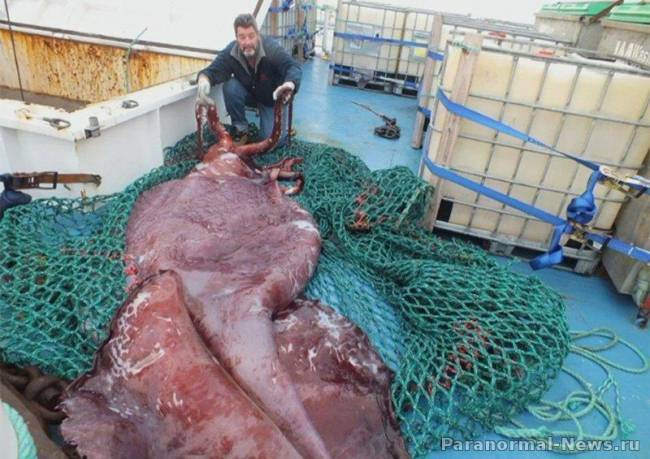 The ship's captain John Bennett and his team were stunned when they saw the giant squid, weighing 350 pounds and the size of a minivan. Raised the creature was almost two-kilometer depth. Squid is a female, and each of its eight tentacles in length exceeds the meter. Two of them, as noted by researchers from New Zealand may have been twice as much, but they were damaged. 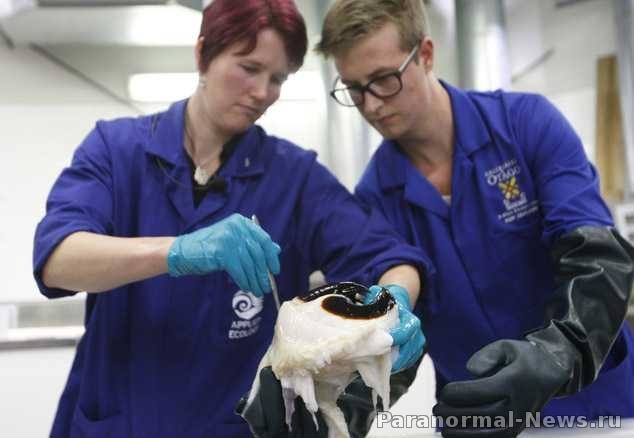 Kat Bolstad of Auckland University of Technology, who led the team that studies being, described him as "a very large and very beautiful" underwater inhabitants. "This, in essence, undamaged sample, which gives us an unprecedented opportunity to study it," - she said. In the history of this is only the second intact specimen caught in the hands of scientists. "We were very pleased to discover that it is a female, in which there were a couple of eggs, told reporters Bolstad. 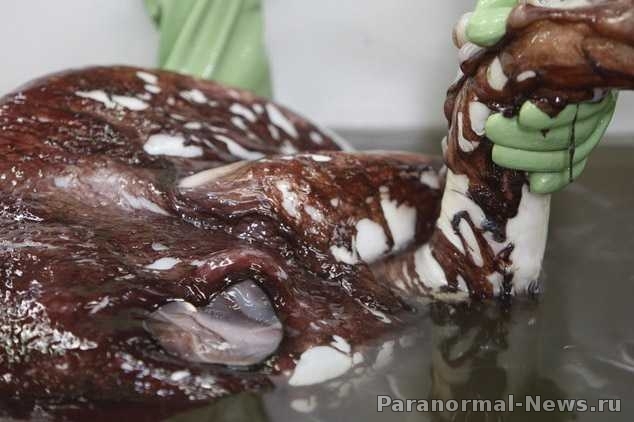 - This is by far the most extensive of the squid that I've ever seen." 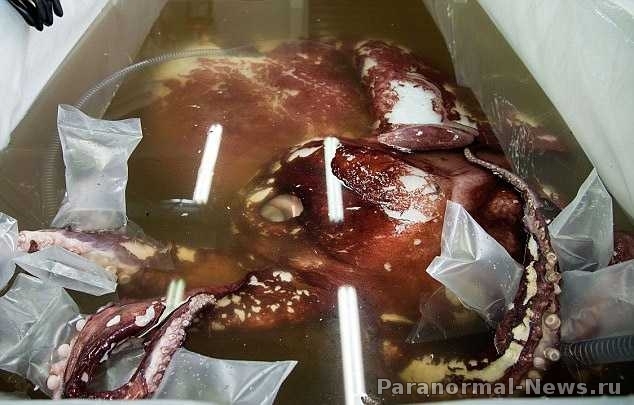 Giant squid often describe sailors in their fiction stories, but to see them can be extremely rare.It is noteworthy that Bennett and his team have already caught two of them. 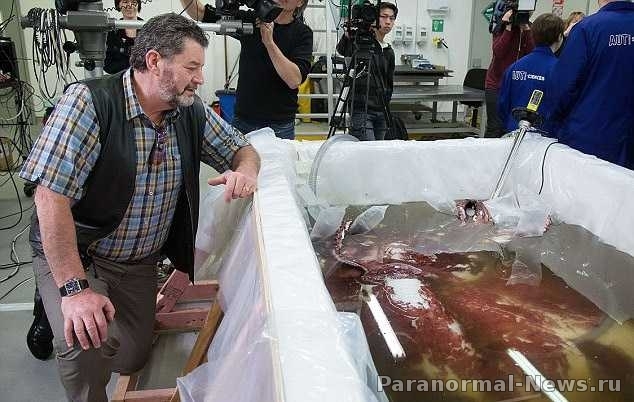 Their first giant squid was seven years ago, delivered to the National Museum of New Zealand Te Papa, where he remains to this day as an exhibition instance. 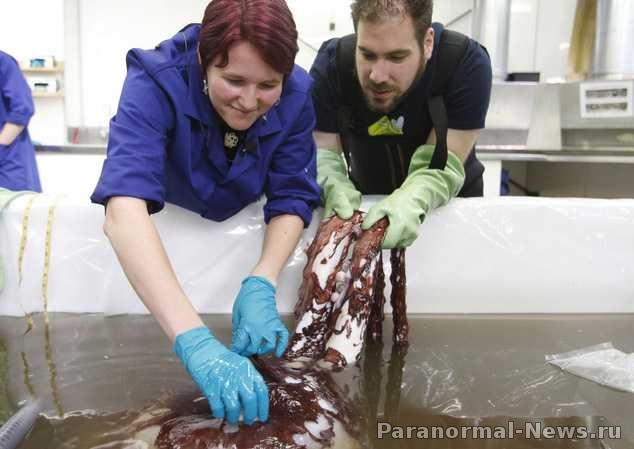 According to the senior curator of the museum, scientists hope to learn more about what takes place creature in the food chain, how much genetic variation there is among the different types of squid, and the basic facts about how the huge animals live and die. 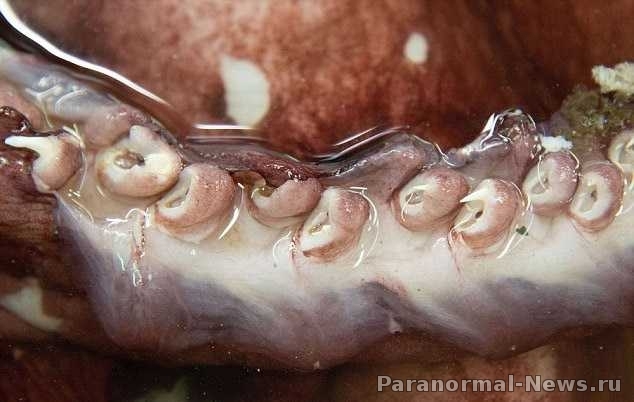 After the squid will be studied in detail by scientists, it will be exposed for all to see.